Thank you Halina, I enjoyed using that palette. 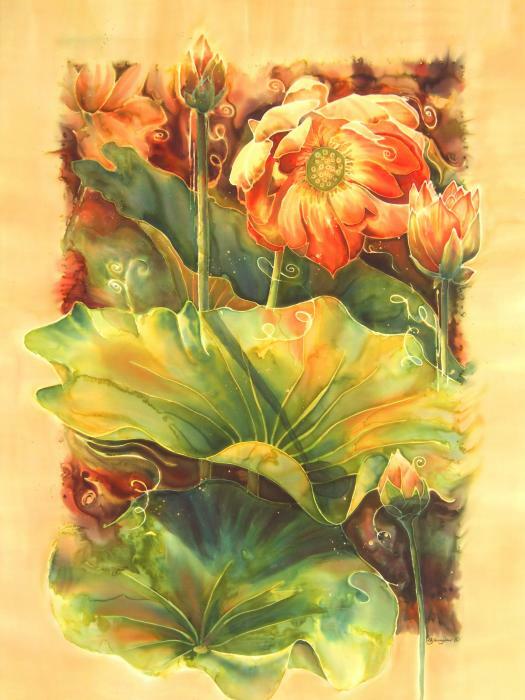 This is the second painting inspired by a trip to Perry�s Water Garden in North Carolina, where there are sun-drenched fields of lotus and water lilies as far as the eye can see. The flowers and leaves seemed to glow with the sun shining through them.